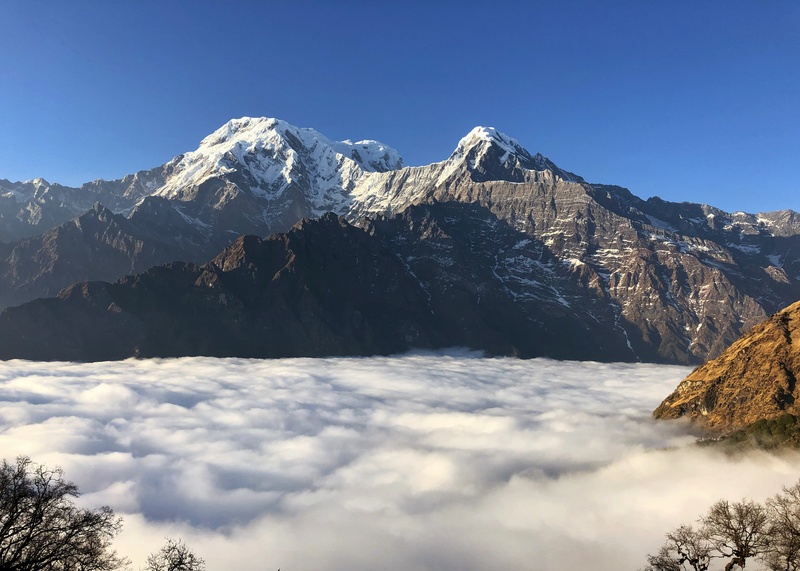 There is a popular saying in Nepal that a man once said: “Heaven is myth and Nepal is real.” It may sound cheesy but this statement was true for me during my recent trek to Mardi Himal in the Annapurna region of Nepal. 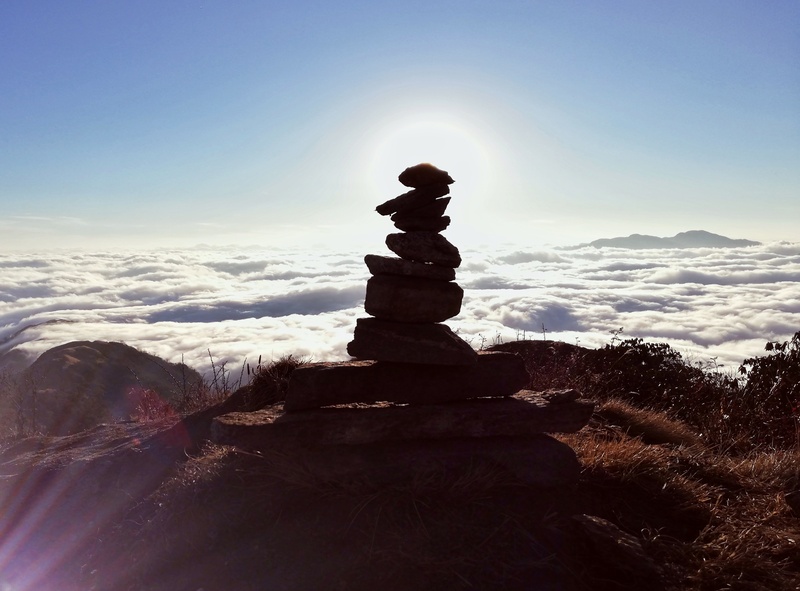 It is a four-six day trek from Pokhara that take you away from the hustle and bustle of city life and deep into the nature. 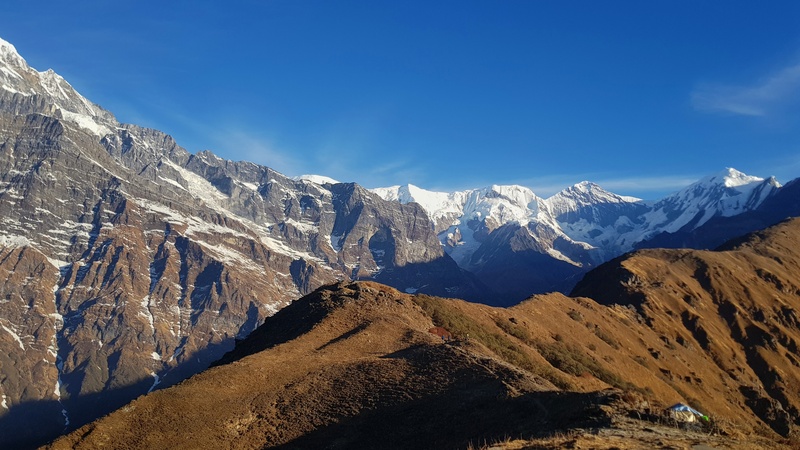 While trekking on this route, we will move past green forests, tea shops with basic facilities and can also witness astonishing views of Mt Annapurna, Mt Machhapuchre and Mt Hiunchuli. 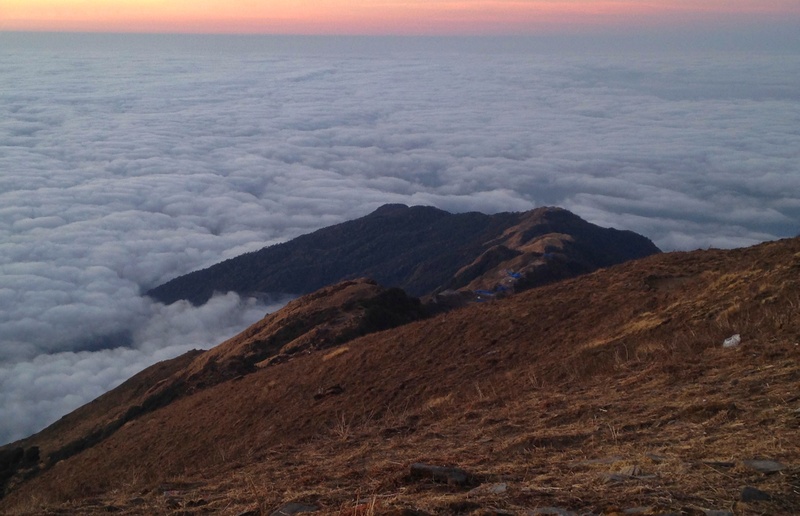 Perched at an altitude of 4500 metre, we can reach Mardi Himal Base Camp, located beneath Mt. 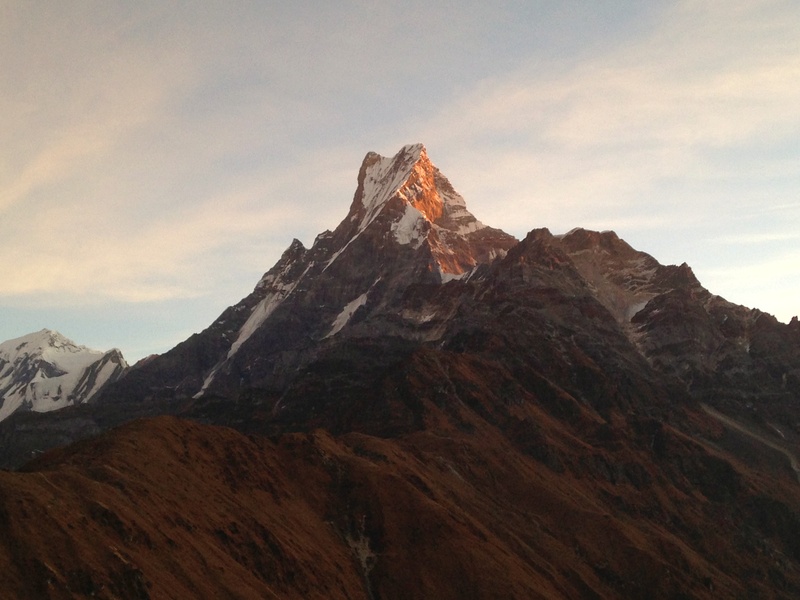 Machhapuchhre through three routes—Kande, Dhampus and Sidhing. 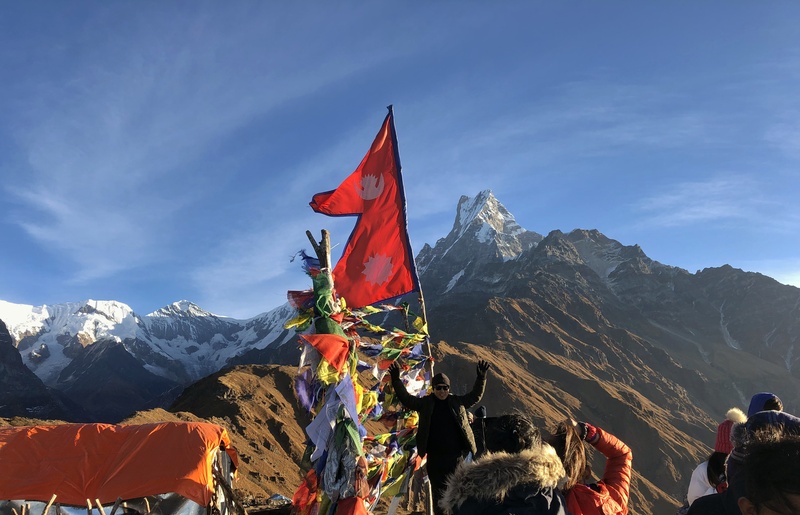 Among these three routes, we decided to start our trek from Dhampus, one of the most exquisite and most preferred holiday destinations of Nepal as it offers staggering views of Dhaulagiri, Machhapuchchhre, Annapurna, Lamjung and Manaslu among others. Six of us took a tourist bus to Pokhara from Kathmandu on a recent morning. As we reached Pokhara in the afternoon and had some extra time till the evening, we hired a jeep for Rs 2,000 and reached Dhampus, the first station of our jaunt. We stayed at the Paradise View Hotel in Dhampus where we were served with Daal, Bhat and Tarkari, one of the most typical meals in Nepal, as dinner at the hotel. The next day, we began walking at 8am in the morning after breakfast. After walking for nearly 15 minutes,we were stopped by a woman at Deurali and told us to pay an entry fee. A man inside the counter told us the fee was Rs 200 per person. We tried to argue with him that the government had fixed the entry fee at Rs 100. But we had to give in as he was adamant on his stand. We paid Rs 200 each to obtain the permit. In the meantime, a group of three young men from Pokhara showed up and they were also forced to pay Rs 200 to get the permit. 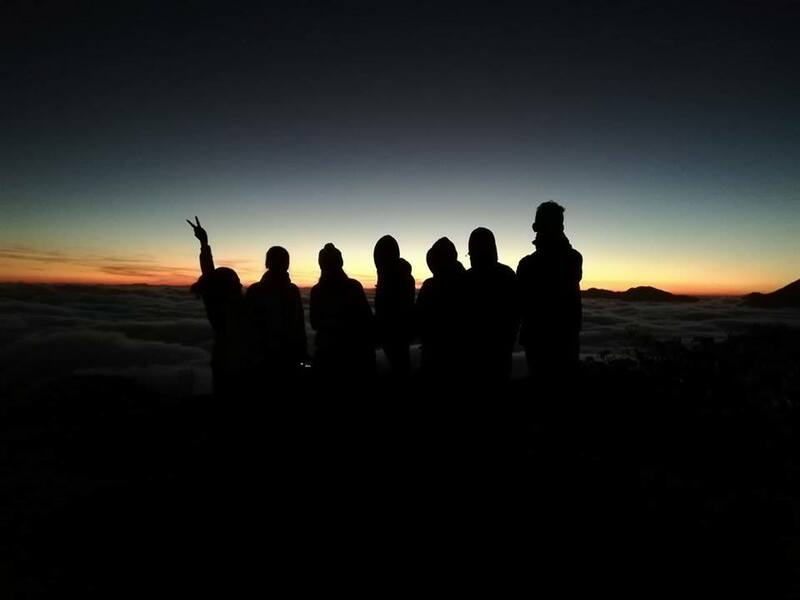 After walking together for some time, we became close to each other, and they decided to join us for the trip and our group turned into nine members. But after a little while, we came across a dense forest from Deurali to forest camp, and then the trail began to go uphill. As luck would have it, the weather was not clear and the forest was shrouded with fog. There was no tea shop, and not even a water source and a tap to drink water. On the way, we crossed our path with foreign trekkers, who greeted us with a series of Namastes. After walking around 10 hours into the dense and pristine rhododendron and oak forest, we reached Low Camp at around 6 pm. As we had already booked our rooms at Laligurans Hotel, we asked the tea house owner to show our rooms pronto as we were not able to bear the bone-chilling cold. Soon we got our room keys; we left no time to get into the blankets to keep ourselves warm. On the third day, we started our walk at around 9:30 am after breakfast since we were told that it would not take more time to reach High Camp. After we started our hike, we were offered with magical forests, beautiful sceneries and an abundance of fresh air. 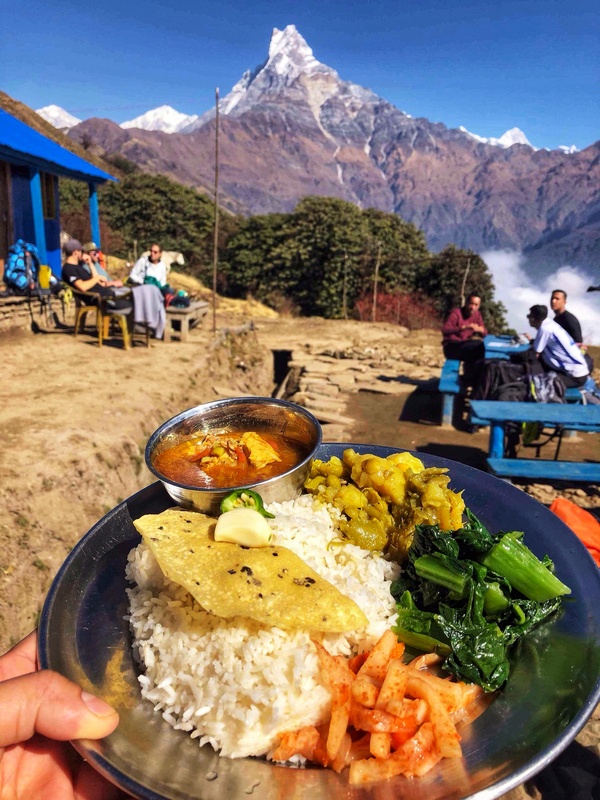 Before reaching High Camp, we stopped at Badal Danda for lunch where we were welcomed with delicious Nepali food. As we trudged higher up towards High Camp, we were rewarded by the majestic and up-close views of lofty Mt. Machhapuchhre and Mt Annapurna. After few hours of walk, we reached High Camp where the scene abruptly turned into the rugged mountain landscape. 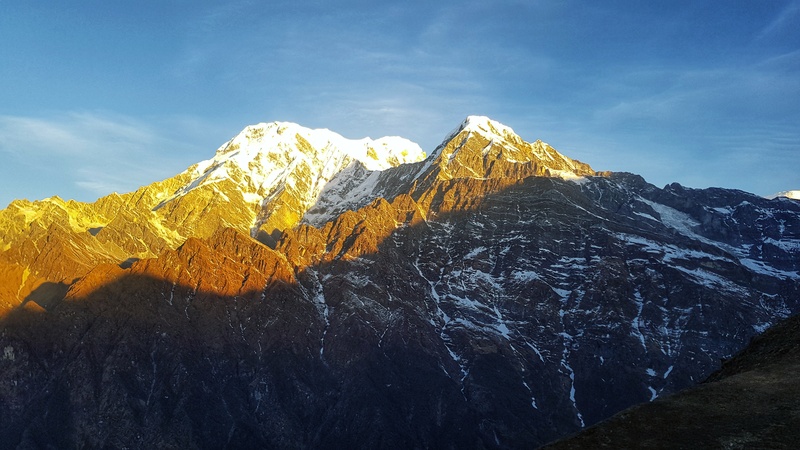 As we arrived at the High Camp, it again offered stunning views overlooking entire snowcapped Annapurna range. After taking rest for some time, we headed towards a hill to watch sunset. While waiting to watch the sunset view, we even forgot that cold wind hitting us. After waiting for some time, we were stunned by the dramatic sunset views with crimson sky. The next day, early in the morning at 4, we walked up to the viewpoint. The trail was narrow, slippery and dangerous. We carried torch lights to show us the way to the view point. After walking for around two-and-half-hours we reached the upper view point just few minutes before sunrise. 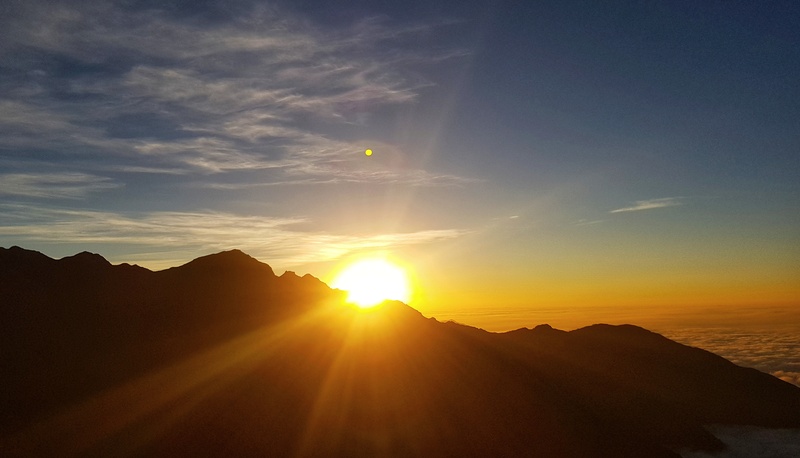 As the sun gently rose, the snow-capped Annapurna range and Mt Machhapuchhare gradually turned into celestial gold. The view was breathtaking and the moment was surreal. 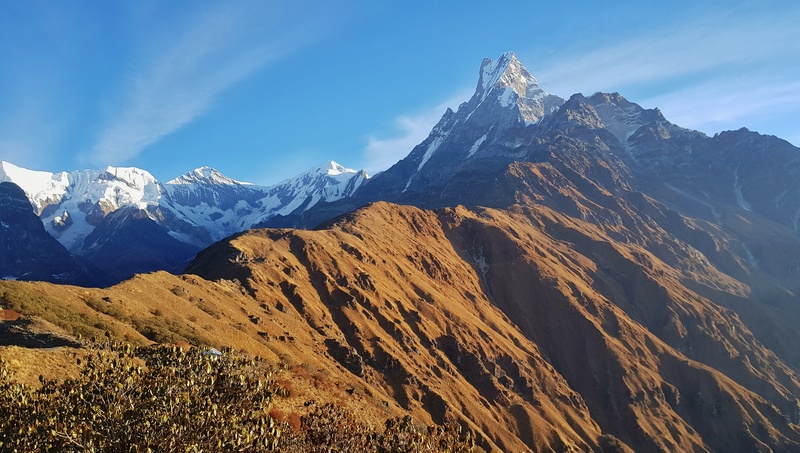 As we decided to return to Pokhara the same day, we spend some time at the view point and came back to High Camp through another route which was quite easy than the route we took early in the morning to reach the view point. 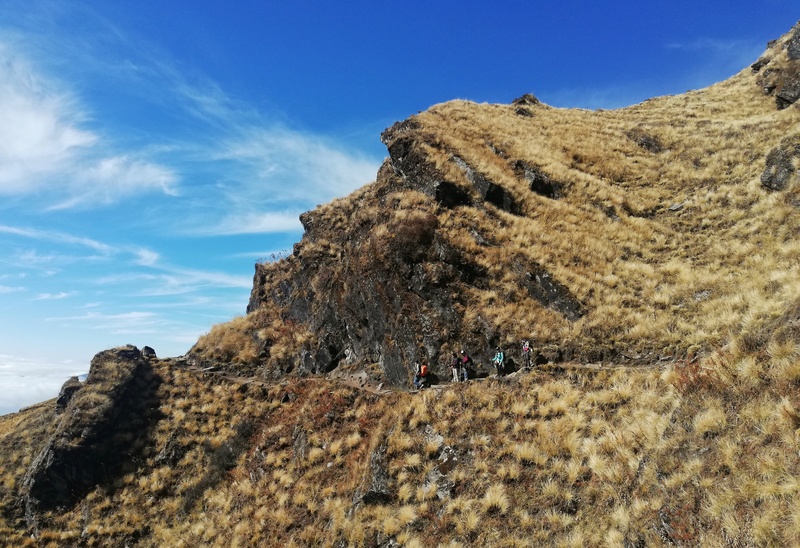 After having breakfast at High Camp, we walked down to Low Camp where a man advised us to take the route of Sidhng as it would be shorter to reach Pokhara. We decided to walk down through Sidhing. The downhill route was not as expected as it was really treacherous and we had to walk into the forest areas. Soon we reached Sidhing after six hours of walk from Low Camp, we hired a jeep and headed to Pokhara. The road from Sidhing to Lumle, around two hours, was narrow and perilous which sent a shiver down our spine. 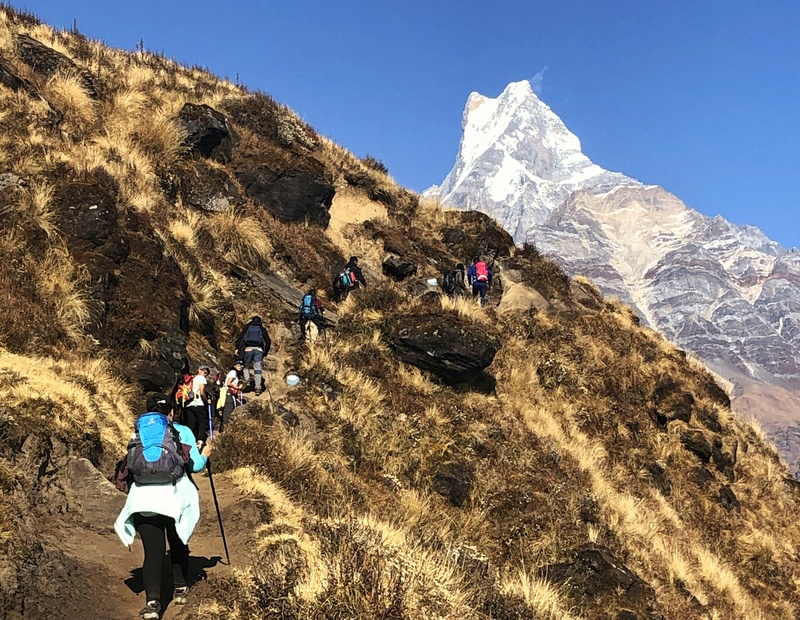 As this route to Mardi Himal is a newly opened trail, we don’t see many tourists in comparison to other trekking routes like Annapurna Base Camp. 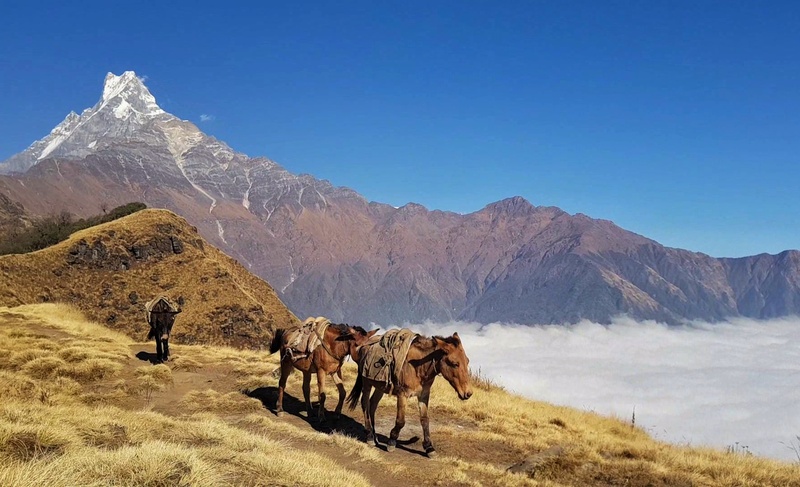 However, this trekking route is popular among domestic tourists rather than international tourists. 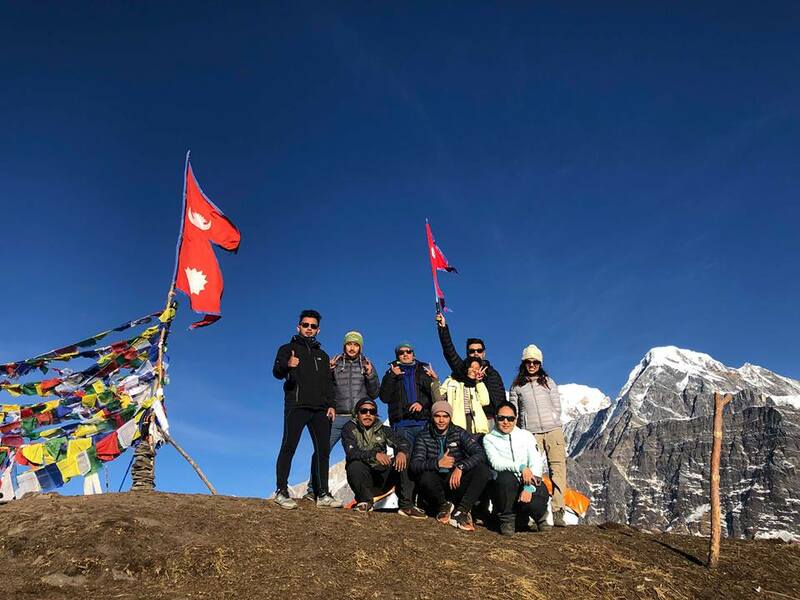 During our trek to Mardi Himal, we hardly saw 20 foreigners on the way. The influx of domestic tourists has increased in Mardi Himal, along with Mustang and Ghandruk among other places.